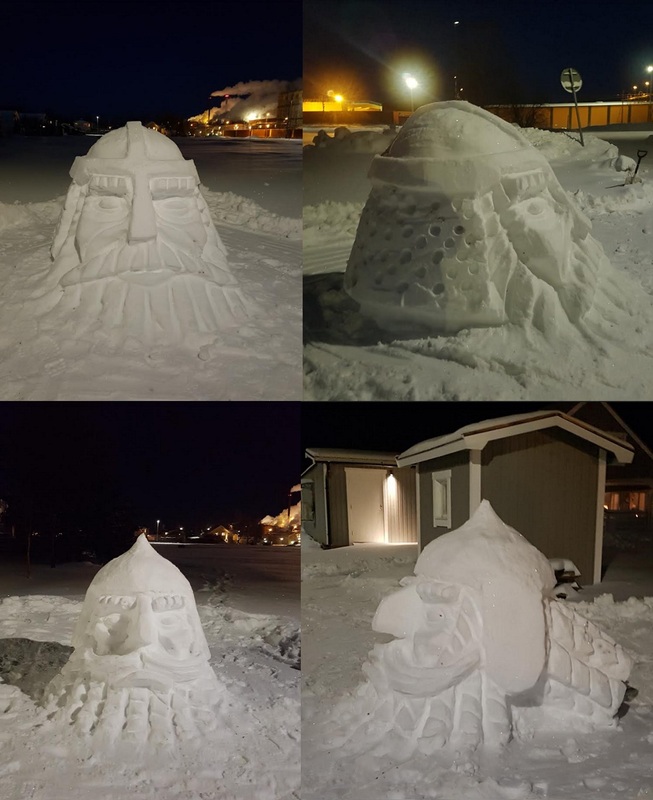 Ulthuan • View topic - Share Your Snow Sculptures Here! 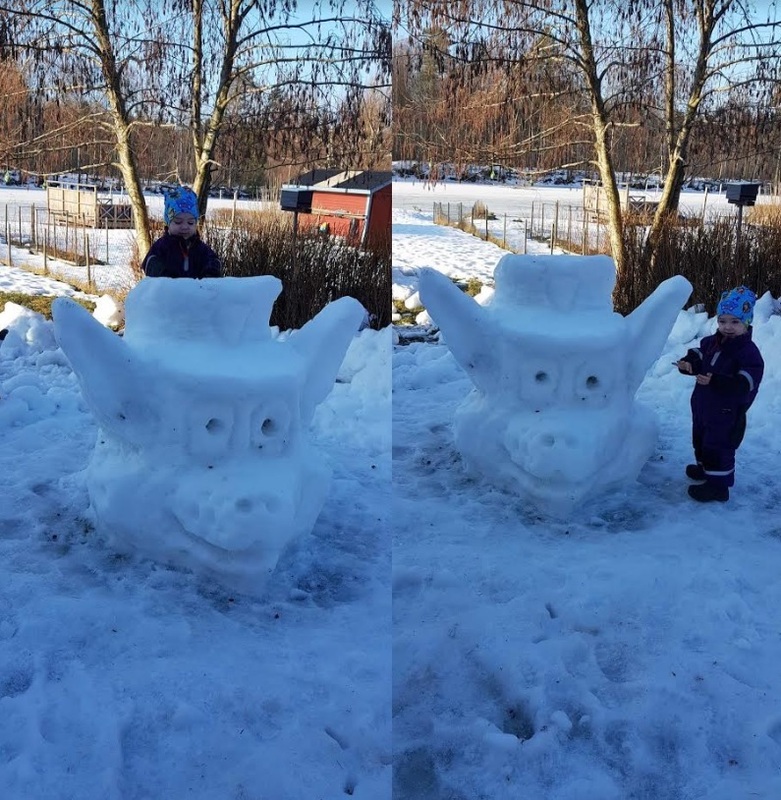 Post subject: Share Your Snow Sculptures Here! 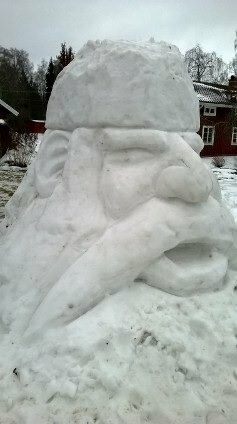 It's that time of the year again, when shovelling snow becomes a good excuse to do some quick sculptures. 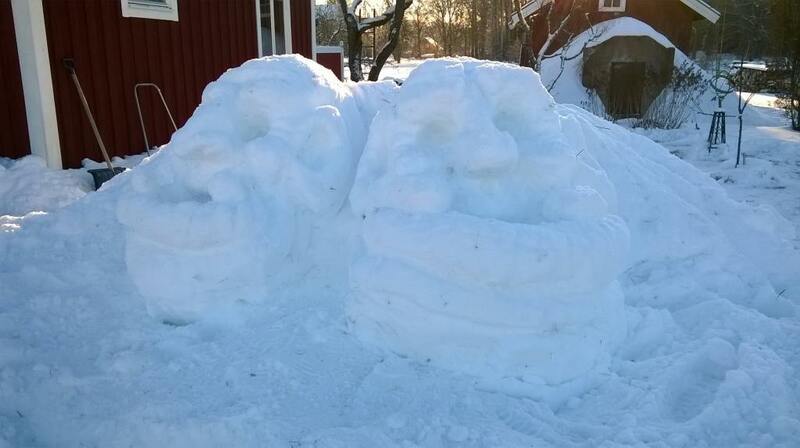 Anyone up for a snow sculpture challenge this happy season? 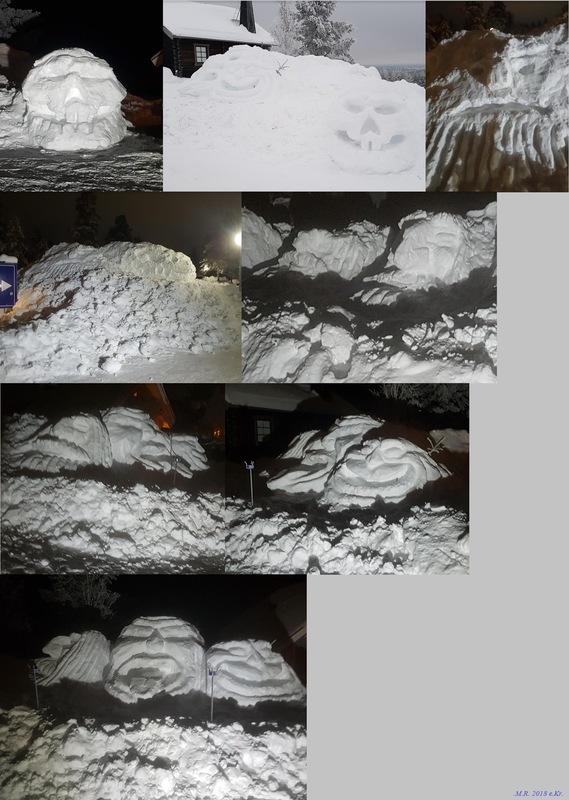 Post subject: Re: Share Your Snow Sculptures Here! As usual, the snow outlook for the south of England is pretty scanty. They are great. I really like them. Unfortunately, as with SA, here in the Netherlands winter simply means the rain is colder. And any snow deeper then 2cm that falls (one or two days a winter on average maybe) grinds all public life to a halt. 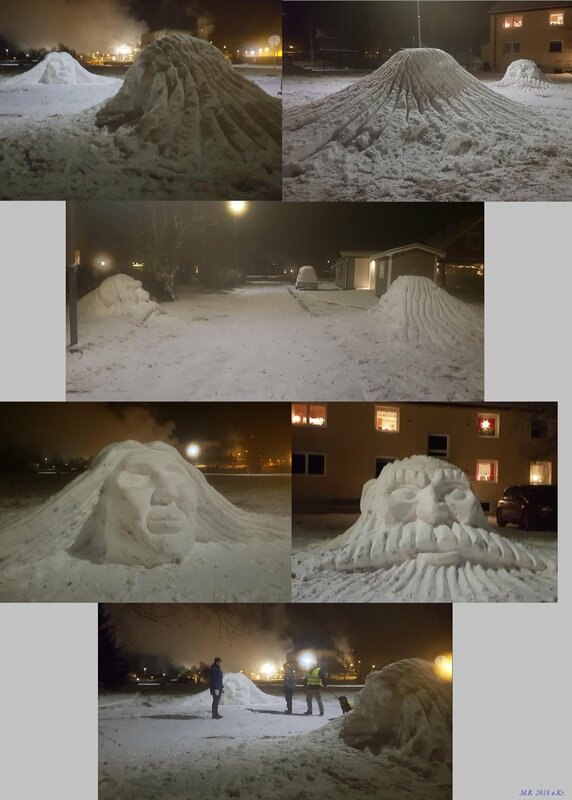 So snow sculpting is out of the question here. 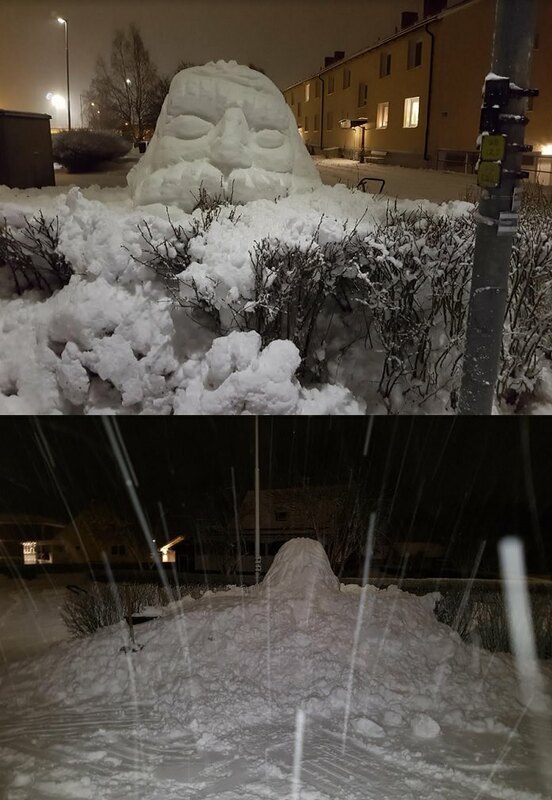 We're glad if we have a winter where we can make a simple snowman. Hehe, there ought to be half a meter of snow every winter. Can you trust an elf? The icy and lumpy snow made this one tricky, and pulled down the quality drastically, as well as having it end up way too thin. Still, it's a face. I like them. They're maybe not the best, but they're fun. Though if you claim the face is the face of an elf then you can get away with it being so thin. It resembles en Elder scrolls elf quite nicely I think. This one looks a bit spooky. And now for a plague of Dwarfs! What's the process of making one? start shoveling snow manually into a heap and move on from there? Thanks! 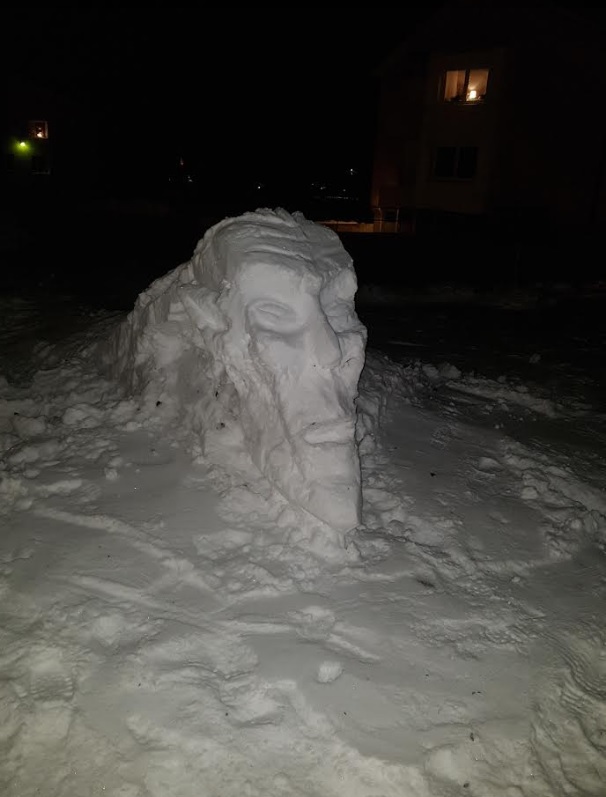 I'm not sure about improving; it's possible, but I had almost ideal snow to work with, unlike gravelly and lumpy frosty snow. Material decides a lot, and I don't put much into the sculpting since it'll all melt anyway. Yep! 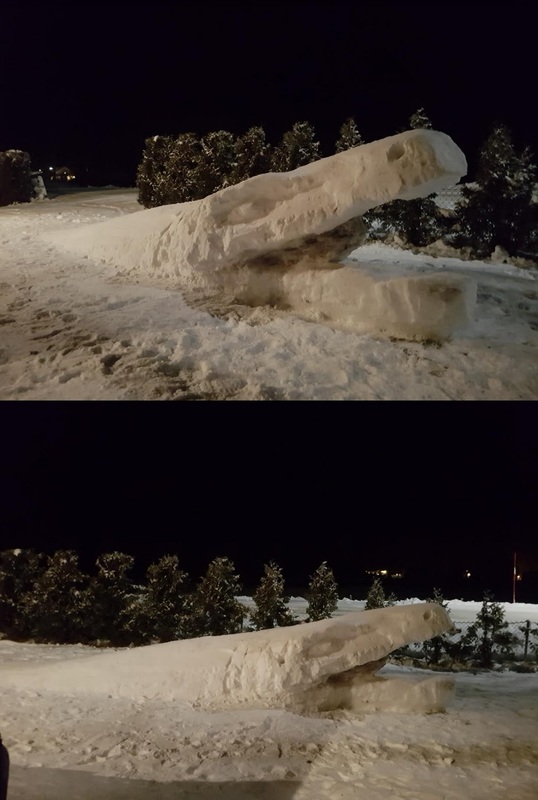 First build up a snow heap by hand, then make a ramp to build it higher after a certain point (it automatically gets packed through this process), then move on from there: Remove the ramp and carve away excess snow to get at the desired shape, then brush it up. Nice. I like the Orc head best in that batch I think. Now you’re becoming ambitious sir! I've been told they had a lot of fun making him. My son approves, he’s a big fan of Snowmen! 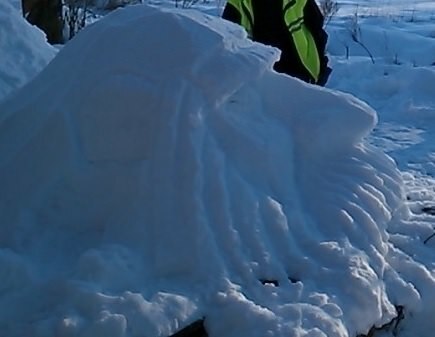 Nice snowman! I like the attention to details your daughters put into it with the extra equipment, Prince of Spires. A good sense of aesthetics that may bloom in years to come, mayhap? So am I. They're great fun! Lauren, the oldest one, decided that the snowman was cold (it was snowing after all...). So he needed a scarf and hat. And you just must have something for arms. They were quite proud of their work. I particularly like the fact that there are three plastic tools for arms. Clan Moulder incoming? This seems universally accepted, though arguably that’s his raison d’etre. It was 21 degrees in London yesterday!